Non-determinism is an essential concept in mathematics and one of the important concepts in computer science. It is also among the most abstract ones. Thus, many students find it difficult to cope with. In this paper, we describe some didactic considerations which guided the development of a “Computational Models” course for high school students, a course in which the concept of non-determinism is introduced, among other issues. Some of these considerations are relevant to college and university students as well. We also discuss students' perceptions of non-determinism and their achievements in this area. Our findings show that many students prefer to avoid non-determinism, even when it can significantly simplify the solution's design process. We analyze and categorize the students' solutions, thus shedding light on their perceptions of the abstract concept of non-determinism. Armoni, M. & Gal-Ezer, J. (2006). Introducing Nondeterminism. 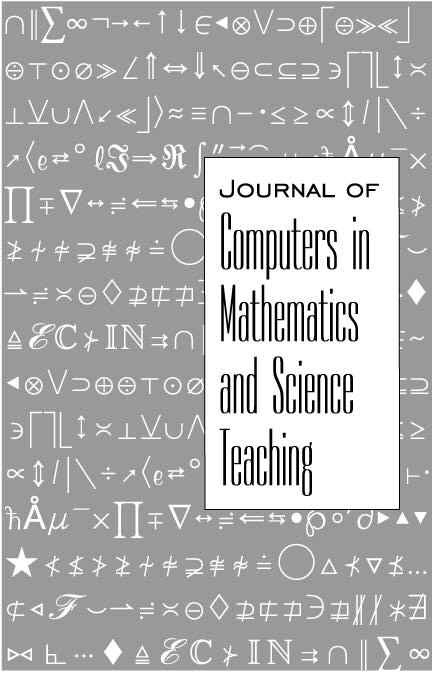 Journal of Computers in Mathematics and Science Teaching, 25 (4), 325-359. Waynesville, NC USA: Association for the Advancement of Computing in Education (AACE). Retrieved April 21, 2019 from https://www.learntechlib.org/primary/p/21052/. Armoni, M., & Gal-Ezer, J. (2003). Nondeterminism in CS high-school curricula. Proceedings of the 33rd ASEE/IEEE Frontiers in Education Conference (FIE03), F2C (pp. 18-23). Armoni, M., & Gal-Ezer, J. (2004). On the achievements of high school students studying computational models. Proceedings of the 9th Annual SIGCSE Conference on Innovation and Technology in Computer Science Education (ITiCSE04), (pp. 17-21). Armoni, M., & Gal-Ezer, J. (2005). Teaching reductive thinking. Mathematics and Computer Education, 39(2), 131-142. Armoni, M., Gal-Ezer, J., & Tirosh, D. (2005). Solving problems reductively. Journal of Educational Computing Research, 32(2), 113-129. Gal-Ezer, J., Beeri, C., Harel, D., & Yehudai, A. (1995). A high school program in computer science. Computer, 28, 73-80. Gal-Ezer, J., & Harel, D. (1999). Curriculum and course syllabi for a high-school program in computer science. Computer Science Education, 9, 114-147. Harel, D. (1987). Algorithmics: The spirit of computing. Reading, MA: AddisonWesley. Hazzan, O. (1999). Reducing abstraction level when learning abstract algebra concepts. Educational Studies in Mathematics, 40(1), 71-90. Hopcroft, J.E., & Ullman, J.D. (1979). Introduction to automata theory, Languages and computations. Reading, MA: Addison-Wesley.